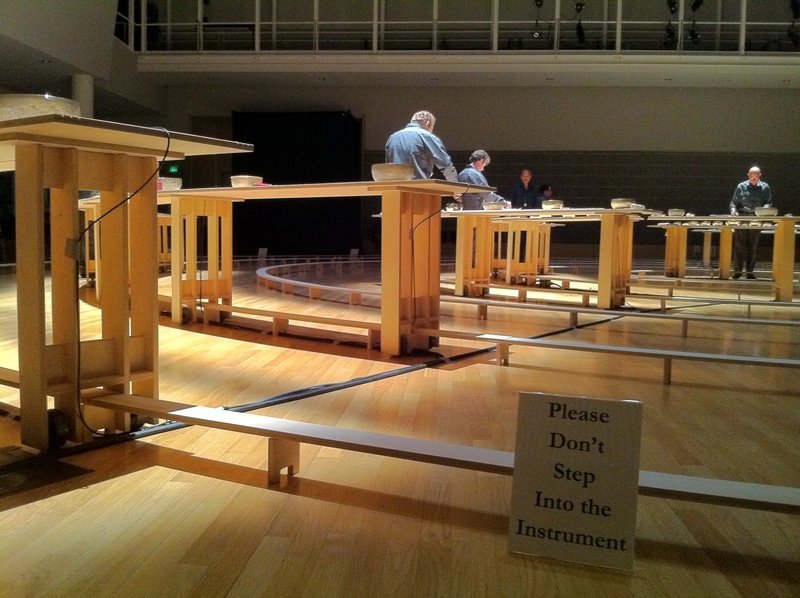 Last night I witnessed two “performances”: Longplayer and Long Conversation. The scare quotes pertain mainly to the former; an audience–certainly not a contiguous one–isn’t a key driver. 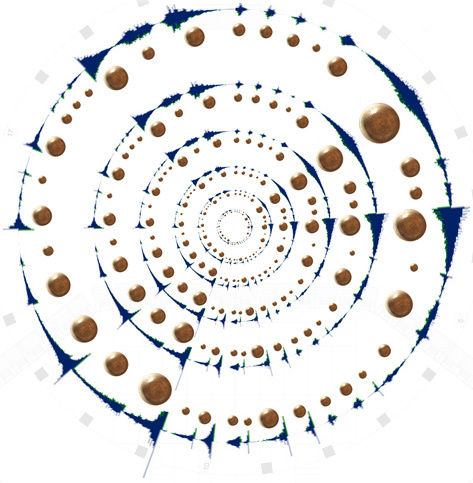 Longplayer is a one thousand year long musical composition. It began playing at midnight on the 31st of December 1999, and will continue to play without repetition until the last moment of 2999, at which point it will complete its cycle and begin again. Conceived and composed by Jem Finer, it was originally produced as an Artangel commission, and is now in the care of the Longplayer Trust. The score, or rather each performer’s tracking of it (they carry stopwatches and move a peg from position to position in a series of divots along the table. In short, it’s a 6-hour “relay” conversation; each interlocutor talks for about 40 minutes, overlapping with another 40-minute speaker staggered every 20 minutes or so (so each speaker has two partners). Topics a conversational hybrid of the background of each interlocutor and long-term thinking. There’s plenty to cover here outside of recognizing the name as Brian Eno’s coinage: the purpose, the clock, the talks, Long Bets, etc. ; I’ll have to do so later. It’ll have to suffice to leave you with an anecdote from founder Stewart Brand’s (The Whole Earth Catalog) book, How Buildings Learn. This is one of those times that I don’t care whether/to what degree it’s apocryphal. New College, Oxford, is of rather late foundation, hence the name. It was founded around the late 14th century. It has, like other colleges, a great dining hall with big oak beams across the top, yes? These might be two feet square, forty-five feet long. A century ago, so I am told, some busy entomologist went up into the roof of the dining hall with a penknife and poked at the beams and found that they were full of beetles. This was reported to the College Council, who met in some dismay, because where would they get beams of that caliber nowadays? One of the Junior Fellows stuck his neck out and suggested that there might be on College lands some oak. These colleges are endowed with pieces of land scattered across the country. So they called in the College Forester, who of course had not been near the college itself for some years and asked him about oaks. A nice story. That’s the way to run a culture. Every time I’ve retold this story since I first heard it from Gregory in the 1970s, someone always asks, “What about for the next time? Has a new grove of oaks been planted an protected?” I forwarded the question to the authorities at New College—the College Archivist and the Clerk of Works. They had no idea. © 2019 (gestaltist). All Rights Reserved.